Self-contained and self-energized, automatically and silently optimizes front to rear suspension balance. Store: Rakuten.com Condition: Brand New Price: $404.98 Total Price: $404.98 Buy It from Rakuten.com MONROE SHOCK 40044 Specialty Shock Absorber - 15.38 In. Store: Warren Distributing Inc. Condition: Brand New Price: $342.16 Total Price: $342.16 Buy It from Warren Distributing Inc. Shock Absorber-LS Front Monroe 40044 -- Free Shipping - Huge Selection - Easy Returns! Store: AladdinAutoParts Inc. Condition: Brand New Price: $357.89 Total Price: $357.89 Buy It from AladdinAutoParts Inc. Shock Absorber-LS Front Monroe 40044 -- Lifetime Warranty! * Same Day Shipping! * Free Returns! Store: UnbeatableSale.com Condition: Brand New Price: $366.68 Total Price: $366.68 Buy It from UnbeatableSale.com MONROE SHOCK 40044 Specialty Shock Absorber - 15.38 In. 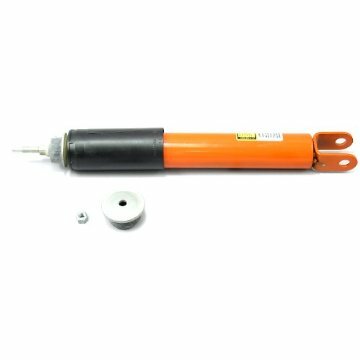 Shock Absorber-LS Front Monroe 40044 -- We Ship Within 24 Hours. Ebay Delivery Times Incorrect. Monroe 40044 Frt Premium Gas Shock Absorber -- Carquest-free Shipping*free Returns*lifetime Warranty!! For Cadillac Escalade ESV Chevry Tahoe Front Shock Absorber Monroe Shocks 40044 -- Quick Shipping From Multiple Locations In The Usa!